Scientists have discovered that a ‘rare’ type of marine bacteria is much more widespread than previously thought – and possesses a remarkable metabolism that could contribute to greenhouse gas production. In a study published in the journal Science Advances, an international team of scientists from the University of Southampton, the Max Planck Institute for Marine Microbiology, in Germany, and other European universities show that the previously little-studied Nitrococcus bacterium is found in oceans worldwide, and has the astonishing ability to live without oxygen by reversing its metabolism. The usual biological ‘function’ of Nitrococcus – and a handful of other similar bacteria – is to replenish nitrate (NO3-) in the ocean through the oxidation of nitrite (NO2-) – while at the same time converting carbon dioxide (CO2) into building blocks for their cellular structures. 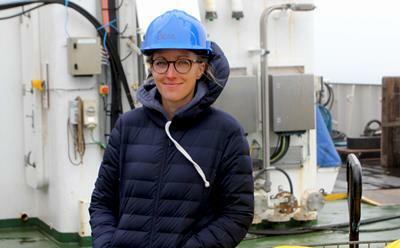 The availability of the nutrient nitrogen often limits growths of algae and other plant-like organisms in global surface ocean, where they harvest light energy to ‘fix’ CO2 into their own body mass. Nitrogen is essential for all life on Earth as it is needed for the making of proteins and nucleic acids, and its most abundant and stable form is nitrate. Therefore, the availability of nitrate is directly linked to the ocean’s ability to capture and store the greenhouse gas CO2. While the sunlit surface ocean often runs out of nitrate, it accumulates to high concentrations in the deep dark ocean thanks to the activity of nitrite-oxidising bacteria like Nitrococcus. When deep ocean water is recirculated back to the sunlit surface as part of natural global ocean circulation (on average a cycle of every 1,000 years), this ‘deep-sea’ nitrate eventually replenishes the growth of ‘green’ organisms that form the basis for all life in the oceans. However, through a series of experiments carried out in the South Atlantic off the Namibian coast, and verified by physiological studies in the laboratory, the team found that Nitrococcus can – in the absence of oxygen – ‘switch’ its metabolism so that it reduces nitrate to nitrite and further to nitrous oxide (N2O), while producing, instead of capturing, CO2. While other marine bacteria are known to produce N2O, this is the first time that a marine nitrite-oxidising bacterium has been found to contribute to the production of this highly potent greenhouse gas and stratospheric ozone-depleting agent. More importantly, a detailed search in global databases revealed that Nitrococcus has, in fact, a worldwide distribution, meaning that its N2O-producing potential could also be ubiquitous – a potential environmental concern given that the oceans are losing oxygen under the influence of global warming. In addition, the team discovered that Nitrococcus has the ability to oxidise sulphide, a compound that is highly toxic to most life, such as in the so-called oceanic dead zones – low-oxygen water bodies associated with high biological productivity. Nitrococcus’s ability to convert hydrogen sulphide (H2S) to harmless sulphur may then contribute to ‘sulphide detoxification’ and protect other life forms. Lead author Dr Jessika Fuessel, of the University of Southampton, said: “These particular bacteria have not been studied in-depth before, and we are very surprised to find not only that they are so widespread and abundant, but also that they possess such astonishing metabolic versatility. This study also involved the Radboud University Nijmegen, in the Netherlands, the University of Hamburg, Germany, and the University of Vienna, Austria. The work was funded by the Max Planck Gesellschaft, the Deutsche Forschungsgemeinschaft, BMBF, the Vienna Science and Technology Fund, the Austrian Science Fund, the Netherlands Organisation for Scientific Research, and the UK Natural Environmental Research Council. 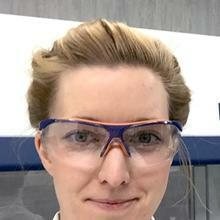 Dr Jessika Fuessel is a Postdoctoral Research Fellow in Marine Biogeochemistry within Ocean and Earth Science, National Oceanography Centre Southampton at the University of Southampton.